With a team of flue and stove experts, Flamingrate not only supply and install stoves but can also supply and install your flue as well. 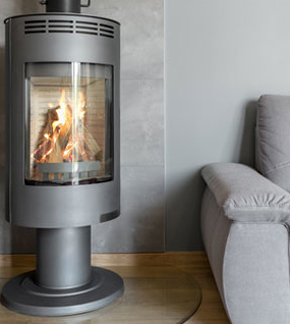 In order to get the most out of your wood burning stove and ensure that you have the highest levels of health and safety, it's important to use the correct flue. Even with a working chimney, you can still benefit for installing a flue at it then allows your stove to reach it's highest levels of efficiency and performance. With a vast selection of flue components available, Flamingrate believes in providing you with the highest quality products. "High quality, durable flues installed by true experts." If you have a unit that needs a flue system, we can design, install and commission one to meet you every need and budget. We are very proud to be able to offer flue products that are made by the major forces in flue technology, offering a large range of systems to match every need. SFL , Selkirk , Poujoulat and A1 Bridge Flues are all recognised leaders in the field and manufacture to a very high standard. All products are BS , CE and EN certified and many are HETAS approved and suitable for use with all multi-fuel installations. You will find all the flue systems you require within our site to suit all installations, from gas, oil, condensing boilers, multi-fuel stoves and generator exhausts and in a variety of diameters. We also have a large range of flexible flue liners for both Class 1- solid fuel, multi-fuel and oil installations and Class 2 installations to be used with gas and oil only, along with all the accessories that you will need including-adapters, clamp and plates and a variety of terminals to suit any installation. At Flamingrate we are happy to help and advise on all aspect of your project and offer a free quotation and design service.